This code promotes the provision of best possible audiological care and the maintenance of trust between IAA members, who are audiologists who hold a financial interest in an audiology related practice, their patients and the community at large. This code is based on three fundamental principles of professionalism: quality, integrity and independence in audiological practice. Firstly, as experts in their field, Audiologists have a special position of trust in the community and IAA members are obliged not to abuse this trust. IAA members have a primary responsibility to deliver family focused audiological care. Secondly, patients and their families have a right to participate in their own healthcare decisions, including those related to hearing and balance. Members of IAA facilitate shared decision making by providing accurate evidence-based information from which patients and families can form realistic expectations. All advice (including suggested interventions and device use) is based on an individual comprehensive audiological assessment. 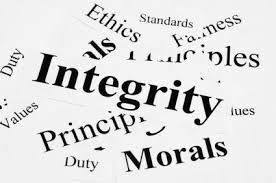 Thirdly, IAA members operate ethical professional audiological practices which are open to scrutiny. This means transparent billing, avoiding conflicts of interest for staff by not paying commissions or setting sales targets and disclosing any formalised relationships with industry. Further details related to the IAA Code of Ethics and Standards of Practice are available using the menu alongside.